While Fanboy Will has been away, the Fan Film community has been finishing films, and/or working on them, left and right! I am quite behind, so please forgive Me for some of the long overdue reviews, and announcements in this update. We’ll start with the new stuff first…Well, I t was bound to happen, and it has! Our own, Christopher Moshier (also the head honcho behind Fan Film Follies) has nearly completed his very own Indiana Jones Fan Film! Chris has been working with Director, B. Anthony Gibson, and crew, on a prequel film to Gibson’s 2009′ film, Indiana Jones and the Secret of the Apalachee. 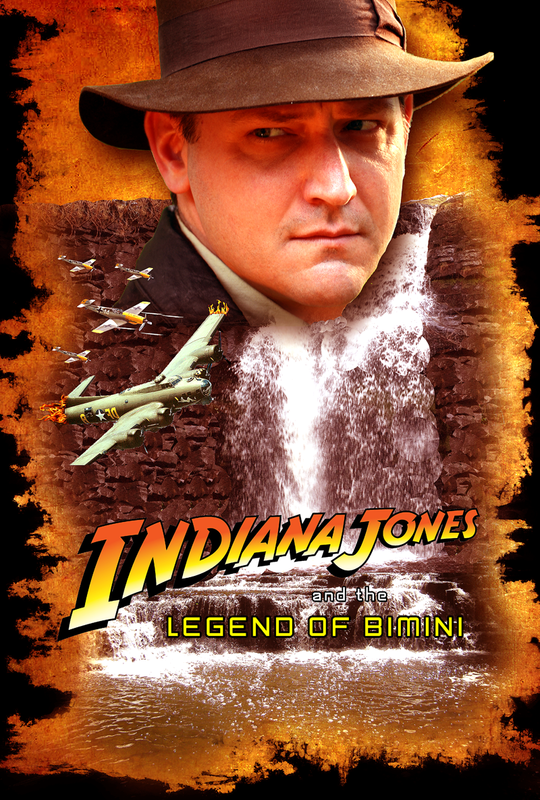 The new film, Indiana Jones And The Legend Of Bimini is currently in production in Rochester N.Y., with Mr. Moshier serving as Location Manager. A not so easy undertake considering it’s an Indiana Jones Fan film. I think what I’ve seen thus far looks great, and I have every bit of faith in Mr. Gibson, Moshier, and crew to hit this one out of the park! You can help the cause by visiting the official webpage for the film HERE . Meanwhile, Enjoy a trailer for, Indiana Jones And The Secret Of The Apalachee. Consume! Now, on to the rest of the Fan Film Fun! First up is our old pal Chris Notarile, head honcho over at Blinky-Productions.com. Chris has just released two brand new Horror Fan Films based on two of the mo st popular Horror franchises in cinematic History, Friday The 13th, and Nightmare On Elm Street. Notarile decides to take a different approach this time. 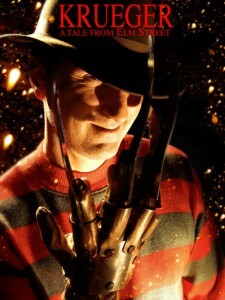 Both new films, Krueger-A Tale From Elmstreet, and Voorhees-Born On a Friday, are ‘Year One’ type stories, briefly exploring the evil roots of Freddy Krueger, and Jason Voorhees. Check them both out today in the FBT Screening Room! Much More coming your way tomorrow, as FBT’s Updateapalooza rolls on……Be here! I cam across this Fan Film festival while surfing around Facebook. Below is all the details you will need if you care to enter your film into the festival. Good luck! Cryptshow.Net (3F) Fan Film Festival Welcome to the first Cryptshow.Net (3F) Fan Film Festival in which we strive to bring the best and brightest in fan inspired films to a larger audience. This festival, which will be held in Atlanta, Georgia (location TBA), will screen fan films of all types from those inspired by horror films (i.e. Halloween, Friday the 13th, Hellraiser), sci-fi (i.e. Star Wars, Lord of the Rings), and fantasy (i.e. Batman, superheroes), to name just a few. We take all types of fan films both shorts and features. *All films must be fan films based on a previous property and you must acknowledge that property in film and/or marketing materials. *You cannot use actual footage from any pre-existing film in your film (Trailers are exempt.). **I hate rules so I won’t put a bunch of them down here that you probably won’t read anyways. *Can be on any length. You cannot use pre-existing footage from another film in your film (although exceptions may be allowed if permission requested). Other than this there are no other rules. *Can be of any length and genre. Unlike in shorts or features you can use pre-existing footage. Other than this all other rules and regulations apply. When sending posters, production stills, and other marketing materials make sure to put caption with photos and/or acknowledge photographer and people within. NOTE: The Cryptshow.Net (3F) Fan Film Festival is a not for profit film festival. There are no fees for the film festival and admittance to view the films will be by donation only. We are not trying to profit from these films in any way but just to provide a venue for fans to be able to view the films like never before – together, in one venue, with other fans just like them!